Children are the most vulnerable members of the society. They need adults in their lives to nurture, guide, and protect them from many potential dangers in and outside their homes. Of course, parents want the best for their children and will never allow their children to be hurt, most importantly when on the road. Since seatbelts do not fit perfectly to children, child safety seats are used to properly and safely seat infants and toddlers. Rear-facing safety seats are appropriate for infants aged 2 below. For children aged 2 to 5, front-facing safety seats fit the bill. On the other hand, booster seats are used by children aged 5 above, until seat belts fit properly on them. Make sure that the safety seat and booster seat is properly installed for maximum safety. Use them even on short journeys. It’s safest for children to seat at the back seat. There is a high chance that the children hit their heads on dashboard or fly out the windshield during an accident when seated at the front seat, so best prepare for the worst before it even happens. Yes, airbags can protect adults during accidents, but children and airbags are a bad mix. Airbags could do more harm than good and may cause serious injury to children upon impact. Remember that children at these ages aren’t as physically-built as adults to endure trauma and may in turn jeopardize them even more. It’s best to seat children at the back seat of the car. They have more room to move around, and are far from the most impact-prone part of the car. Never leave them especially on hot days, for it can cause heatstroke, or worse, death of the child. Always check the backseat before leaving and locking the car. Worse, don’t leave them with all the windows up, engine on, because you will be exposing them to the risk of carbon monoxide poisoning. Practice the usual safety measures while driving, like wearing your seatbelt at all times and not driving while texting. Children imitate the actions of the adults around them, so provide a good example to them. Drive carefully and with discipline. Not only is your life on the balance, but also your child’s. You should research different cars’ specifications, especially for accidents and collisions, before deciding to buy a car. It wouldn’t hurt to consult a car expert for their advice regarding which car caters best to children’s safety. Also, when buying a second hand car, always know its full crash history so you could make the correct measures for maintenance and repair. Make sure that they are securely placed in their seats and their seat belts are buckled up while on the road. Also, young kids are most at risk to be involved in back-over crashes because they are hard to spot when they are close to the vehicle, especially if you are driving a high vehicle or an SUV. Because of this, make sure to hold your child’s hand when walking in parking lots. Child safety locks on cars prevent the children from accidentally opening the car door while the vehicle is moving. This could prevent a lot of accidents and injuries in the long run. Check your car’s instruction manual so you can activate its child safety lock. If the car does not have automatic childproof locks, call its manufacturer for more information about these kinds of locks. It’s an important step to do everytime you leave the house, especially on long road trips. It saves you time, money, effort and most importantly, it saves you and your child from accidents. Live life in a safe lane. Click here to get a quote! You Won’t Believe How Much You Can Save On Car Insurance By Following These 12 Tips! A car insurance doesn’t just protect your car. It’s there to protect you, your finances, along with your loved ones who might be involved in the unexpected with you. Sadly, the common notion about car insurances is that they’re only additional costly expenditures. Some owners even go as far as thinking that they can manage without getting one by being careful. But what they don’t realize is they don’t have to be so expensive, and the main reason why insurance policies exist in the first place, is to help individuals settle financial troubles in case the unexpected happens. Best of all, there are tricks to make sure your insurance works for you financially. They can even help you save money, too! A high end luxury car looks good. However, its price isn’t the only that’s going to be expensive, but its insurance as well. The model of your car is one of the first things insurers look at for replacement and repair costs. This means the more economic your car is, the more economic your insurance will be. Know what types of policies the insurance company offers. After knowing what the company offers, decide which package is responsive to your current needs, lifestyle and budget. Buy only the coverage you need for the vehicles that need it. Getting an insurance deserves the time and energy it takes to comprehend the intricacies and details that make up your own individual situation. Make sure that all your concerns are covered, and only work with an insurance professional who takes the time to answer your questions. Insurers may charge a higher premium if you have had claims before. The higher the damages were, the higher the rates will be. Multiple small claims also have a bearing so you might want to take it easy on the minor claims. You’re getting an insurance to have protection so why not take it to the extra mile by having some safety and anti-theft features installed in your car. This not only lowers the chances of you getting into mishap, but also makes your insurer feel that you are a safe driver. Remember: Insurance companies recognize responsible drivers. Rates are usually lower if you opt to pay your premium in full. While you still have the option to pay in installments, you will have to shoulder extra financing cost by extending the terms of payment, thus, more money going out of your pocket. The deductible is the amount you are willing to shell out before your insurance company covers any of your expenses, and getting a higher deductible will reduce your insurance premium. However, it will require you to pay more in the event that you do make a claim so obviously, this trick works best if you are a responsible driver. Aside from finding out what discounts are available to you, also check if your insurance provider offers free membership roadside assistance program that includes towing, minor repair service, etc. in case your vehicle breaks down while on the road. This definitely spells savings that will be staying in your wallet because you won’t be bothered by these small inconveniences any longer. Although it will protect you from financial loss due to injuries and damages, a car insurance is not a license to be a reckless driver. Buying a car involves your utmost commitment not just in maintaining its good running condition, but also to be a responsible driver. Remember than one reckless move can result in injuries to you, your passengers and even pedestrians—not to mention expensive damage to property. Keep your eyes on the road and drive safely. Get a quote now! Click here. Buying a car is nowhere near like buying a candy from the store. It’s a major expenditure that will put a dent in your savings. Now, granted you may have already fallen in love with a car you’ve probably seen in a magazine, you can’t just sign the papers and take it home without carefully examining it carefully and weighing your options. You have several things to take into consideration before finally purchasing. This way, you will be confident that you made the right decision, thus making the expenditure worthwhile. Take a look at your budget. Determine whether it’s enough to buy a brand new car and pay for a its insurance. Aside from that, you will also have to allot a portion of your monthly allowance for other car-related expenses like gas and maintenance. Take advantage of available discounts and try your best to research them all. By considering what you can afford first and foremost, you can now start narrowing down your choices. Have your own research of the brands and the experiences of their customers to have an idea how they have sustained their reputations in this industry. Make a list of each car brand that matches your criteria. Every model year, manufacturers add and adapt technologies to improve their vehicles’ performance and outlook. Study carefully the available features of your option. It is always an advantage to have adequate space for your luggage, especially when your job requires you to carry lots of things. There are huge numbers of car-related accidents every year. It is smart to inspect how safe your car is to ensure that your family is protected from any danger. Basic safety measures that you should look for are seat belts, air bags, head injury protection, anti-lock brake system and stability controls. Diesel fuel is always cheaper than gas, but they are typically louder than the latter. Diesel is also a dirty fuel and causes dirty emissions. But take note that whatever type of fuel a car is using, the one that is fuel-efficient leads to fuel-cost savings. Unless you’re single, consider your family size in choosing a car. It is best the no one is left out when going on an out-of-town trip. Notice also how comfortable the seats are to ensure ease during long drives and traffic. Make sure that you are comfortable with the dealer you are trying to purchase your car from to avoid rough conversations. A good buyer-dealer relationship will lead you to having your car that way you wanted it to be. 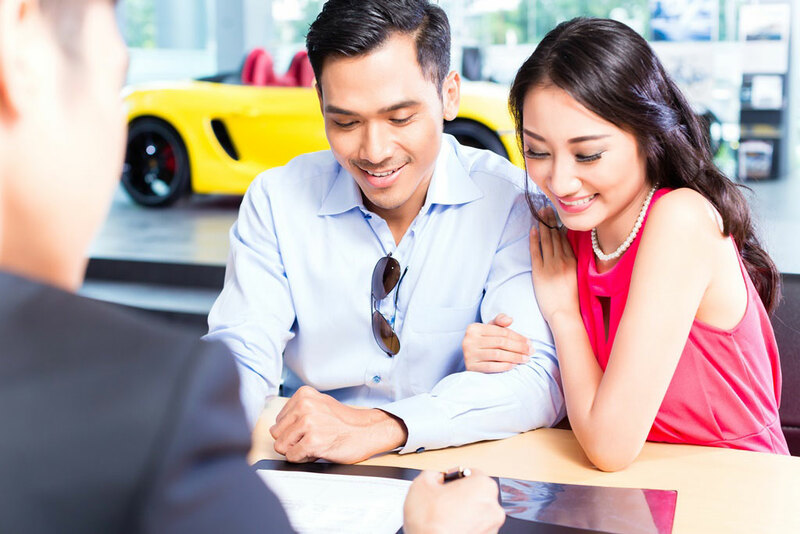 Some car dealers rely on the sale of add-ons to maximize the profit that they make on your auto purchase. Don’t be easily swayed by your dealer’s sales talk because more than not, these add-ons do not provide the promised value. Go to your local dealer equipped with enough research and don’t hesitate to ask questions regarding additional packages you want for your car. Inspect everything from inside and out before taking possession of the car. Make sure that everything is in place. A test-drive is the best way to find out how a new car looks, feels and drives. Take it on the road by yourself, then with your family on a follow-up test drive. This will give you the opportunity to know whether everything and everyone fit comfortably. Buying a car should never be an impulse buy. It’s a costly undertaking, that’s why you should be intelligent in making your final decision. Do your research, know how much you can spend ahead of time and take your time. This will put you on the best footing to avoid an expensive and regrettable purchase. A trusted insurance partner will also give you the confidence to drive your new car anywhere, anytime. To find an insurance solution that’s perfect for you, visit the MAPFRE INSULAR website at www.mapfre.com.ph. Taking care of your car is like guarding your life. Nobody wants to encounter problems, worse, accidents while on vacation, a joyride, or running daily errands, right? Ensuring your vehicle’s performance will make it safer, reliable and dependable for you and your family. The habit of making sure your every aspect is fully- functioning and systems are in tip-top share, you will able to reduce the risk of accidents. You can also can minimize your repair costs in the future, boosts performance and keep its value if you have any plans on reselling it. Inspecting your car will help you find out issues that need some fixing. Check if the fluid levels are correct, your battery is not leaking, cabin and engine filters are replaced and windshield wipers are working properly. Everything with moving parts need grease to survive. Other important components that need attention are spark plugs and cables, headlight, turn signals and brake lamps. Our car is constantly subjected to the sun’s heat, rain, sand and smog that can cause corrosion of dust and dirt. Regularly washing it will prevent the car’s exterior from decaying and the brakes and other undercarriage components rust-free. Car waxing can also protect the paint and keep it shiny. Keep your interiors clean and dry to keep off the formation of bad odor. An uncleaned cabin filter can also cause an unpleasant smell so make sure to take care of that as well. You should know how to check your oil using a dipstick or through looking for an electronic gauge if it’s needed to be changed already. Having the oil changed regularly will keep the engine clean inside. You have to maintain it between minimum and maximum lines because high oil consumption can cause engine problems. Change out transmission and differential oils. While not requiring frequent service, these fluids must be changed according to service intervals. Always use transmission fluid or gear oil of the recommended type and viscosity. You can consult with the your car’s manual to know how often to change oil. A tire is a vital component of your car since it provides a comfortable and safe ride for you and your passengers. Check your tire pressure regularly because low tire pressure means poor gas mileage and reduced tire efficiency — and those spell accidents. Make sure that the tires are rotated, balanced and properly aligned so you can drive smoothly. Improper wheel alignment causes increased tire and poor handling while over inflated tire can cause damage to steering and suspension components. Also keep a spare tire, in case of emergency. The best way to know, understand and know more about your car is the owner’s manual. Take time to read it because it contains detailed and comprehensive information about your vehicle’s features, details on how the major components work, technical details on the engine and the weight and capacity of the vehicle, and of course, instructions on your car care and maintenance. These are just the basic car maintenance hacks to help keep your car in good mechanical condition. Of course, it will also help if you don’t wear your vehicle from overuse and accidents. But let’s face it: you can only do so much for your car. Some things are best left to experts since they’re the ones with adequate technical knowledge and equipment to properly examine your car and executing repairs. If you sense that something’s definitely odd, take it to your auto tech immediately. It’s better to shell out less money now than allow the situation to worsen and taking a bigger cut out of your budget. Along with being equipped with the basics of car maintenance, a reliable auto insurance provider will also help you keep your car in tip-top condition for a very long time. With MAPFRE INSULAR’s help, you can get a comprehensive package that can include liability coverage, protect your vehicle from damages, and from other events. We put value on your property just as much as you do. Visit www.mapfre.com.ph and get a free car insurance quote today. Seriously Now, Do You Think You’re Saving Money With Cheaper Car Insurance? 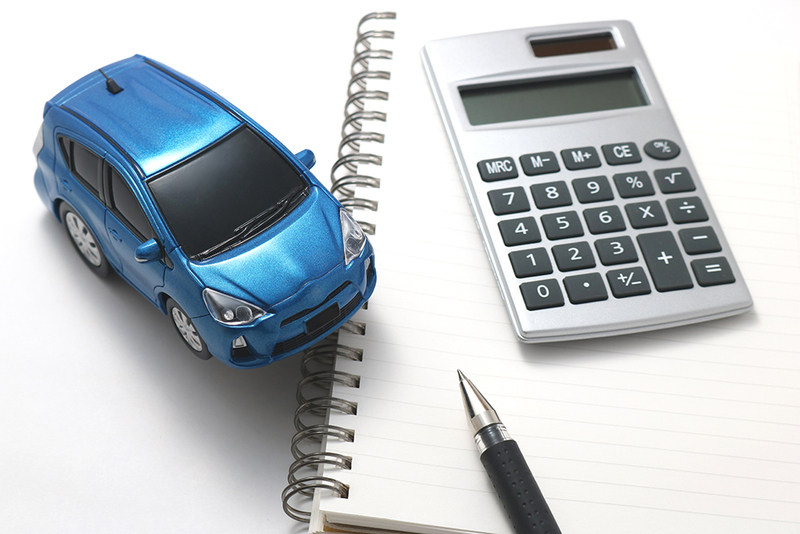 Owning a car is an expensive decision that requires serious planning to make the expenditure worthwhile. Many car owners take it upon themselves to insure their vehicles to assist them in car costs in case of emergencies and they usually go for cheaper policies over comprehensive ones to save on insurance money. This is perfectly understandable due to the rising costs of maintaining a car. After all, every peso spared is a peso that goes back in the pocket. But what many don’t realize is that cheap doesn’t always mean the best. If you think you are saving money for securing cheap car insurance—maybe you are quite right for the moment—but is there an assurance that it will pay off in the long run? Knowing the claim settlement process of the insurance company is always the first step to make. Go for the one with a good track record of settling car insurance. You can always consult your dealer regarding these matters since most of them have connections with car insurance companies. Internet forums can also provide you great insights on how they operate. By doing this, you won’t be left paying premiums and have your claim rejected for baseless points nor wait too long to receive your claim. More than reimbursement, another reason why you are availing an auto insurance policy is because you want to have adequate support and service when you need it the most. Insurance companies who are warm and cordial at first don’t necessarily stay that way once it’s time to make a claim. Similar to what we advised above, there’s no harm in asking around people for their experiences. Remember, a customer will never know how a company operates if not from others who already have experience. Getting caught in a dire situation with your car will get worse when the situation doesn’t get resolved immediately after informing the insurer. The company who holds your insurance policy should have a wide network and multiple distribution and communication channels that will provide prompt assistance in case you need it. In the face of emergencies, nobody’s going to appreciate having to wait months before finally receiving the amount due to them, especially if the repairs and medical bills are already starting to pile up. It’s frustrating and a waste of time so include the speed of issuance and claims in your list of considerations. Choosing the best car insurance still depends on the lifestyle of the car owners or the drivers, but it is preferable to have the comprehensive option to make sure that everything is covered to keep you away from spending double when it comes to repairs or emergency payments. Also take time to know the deductibles or the amount the insurance company expects you to pay before they pay the balance during reimbursement. Be aware of the different payment options. Some insurers often charge additional fees or interest when car owners or drivers pay their premiums on a monthly basis. As an advice, better pay in an annual lump sum to reduce the cost of insurance. Before availing of insurance, it is also very important to identify the insurer that can provide you convenient services, and the best offer for you. MAPFRE INSULAR has several insurance solutions that suit different needs. To learn more about their car insurance solutions, visit the official website here:www.mapfre.com.ph. While enjoying a drive down the highway, the last thing anyone wants is to suddenly see smoke rising up from their car engine. This might be a scary thought, but vehicle fires happen more frequently than a lot of people realize—and definitely one of the deadliest emergencies that can happen on the road. In the US, vehicle fires account for about 20 percent of all reported fires, according to their National Fire Protection Association (NFPA). There has yet to be a published study on automobile fires in the Philippines but the general idea is that it can happen anytime, anywhere. Aside from serious or fatal injuries, a burning car is also a significant loss of investment so it’s essential everyone becomes aware of the top common causes of vehicle fires. The more you understand how these fires occur, the more likely you will be able to stay safe on the road. We often hear news of certain car models that seem to be involved in accidents and in some cases, catch fire, more than usual. Auto manufacturers who become aware of this design or mechanical flaw typically issue a recall so owners can be notified of the possible danger and have their units fixed for free. If by any chance you receive news of a possible recall, it’s best that you act immediately and contact your dealer for assistance. 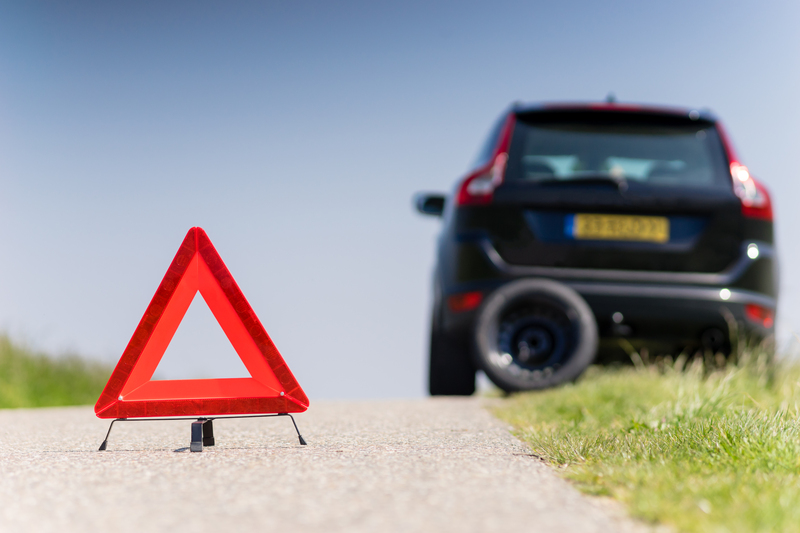 Using your car with broken parts, leaky seals, or faulty wiring without repairs can put you in danger. It’s a simple principle: the less maintained your car is, the higher the risk of igniting flames. Collision can lead cars to spark fire. The high heat caused by the hard impact level when combined with the vehicle’s fluid leaks will react violently with each other. So in the event of a car crash, the driver and passengers are advised to get away as soon as possible to keep away from danger damaged cars might bring. Battery-related problems have plagued hybrid cars and electric vehicles for years. This usually occurs due to the leaking coolant interacted with the damaged batteries. While car manufacturers continue to redesign their battery packs, risks still remain that may cause cars to set ablaze. Mechanical attention is imperative for overheating engines, because if left neglected, it could make the car’s internal fluids like oil and coolant to rise to dangerous temperatures and begin to spill out from their designated area of circulation. If this happens, these fluids would drip, drizzle, and spurt all throughout the engine bay and onto the exhaust system, landing on other hot parts where they can easily ignite and spread. Vehicles use gasoline/diesel fuel, engine oil, transmission fluid, power steering fluid, brake fluid, and even engine coolant to make it run. Unfortunately, these fluids are flammable, meaning they could catch fire easily when they start to spew or spill out of nowhere particularly if their lines, hoses or reservoirs are hit. Better keep your car’s fuel system in check regularly so you’d be aware of dangerous leaks and repair them right away. Electrical wiring runs in every part of a car, so it is advisable to look after your car’s overall wiring system before they get frayed and cause sparks. Also, a typical vehicle’s standard battery’s charging cycle can cause explosive hydrogen gas to build up in the engine bay, and the electrical current the battery provides can produce sparks that can quickly ignite a fluid drip or leaked vapor. Most car accidents, including vehicle fires, can be avoided when we are responsible owner. Never skip your routine maintenance because even the smallest detail is enough reason to your car and life at risk. However, if the unthinkable has already occurred, it is important to act quickly while remaining calm. Stop the car, turn off the ignition, get every person out of the car, stay away and move to the closest safe place to avoid flames and toxic fumes, and immediately call for help.